Georgia-Armenia cargo turnover will be increased to the USD 1 billion, – The Prime Ministers of Georgia and Armenia made the regarding statement after the meeting. 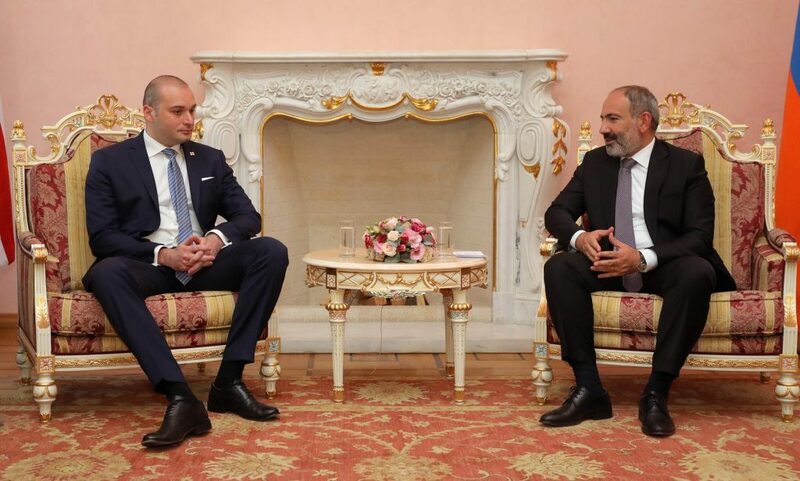 According to Nikol Pashinyan, the sides reached this agreement at the meeting with the Georgian Prime Minister. As Mamuka Bakhtadze noted, the intergovernmental commission of two countries will work on a specific action plan, the sitting of which will be presumably held by the end of September. The cooperation in the field of trade, economy, tourism, innovation and education – these are the issues discussed by Prime Ministers of both countries and the delegation members during the meetings. Mamuka Bakhtadze thanked Nikol Pashinyan for hospitality and congratulated on the Day of Independence, marked on September 21 in Armenia.